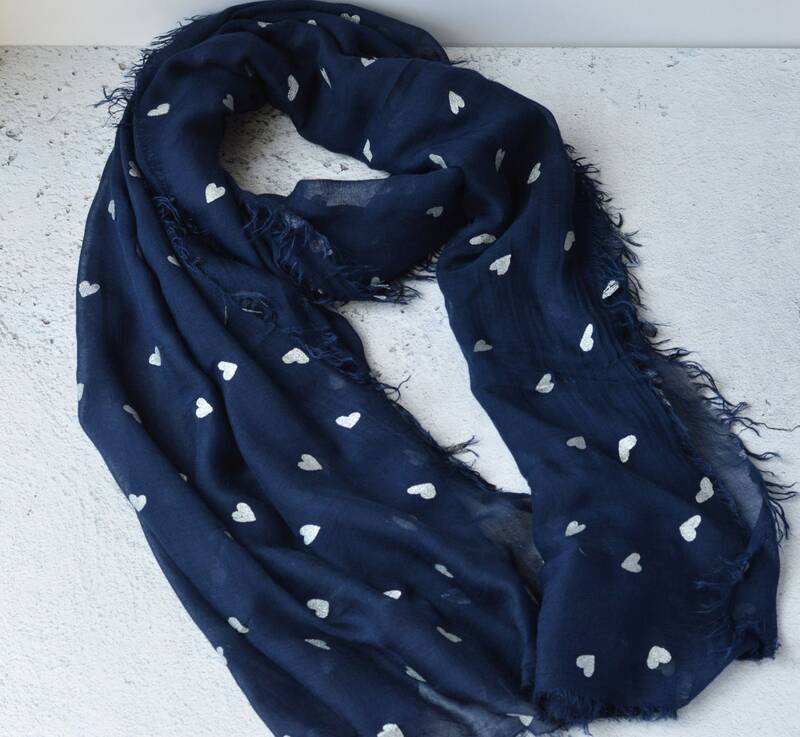 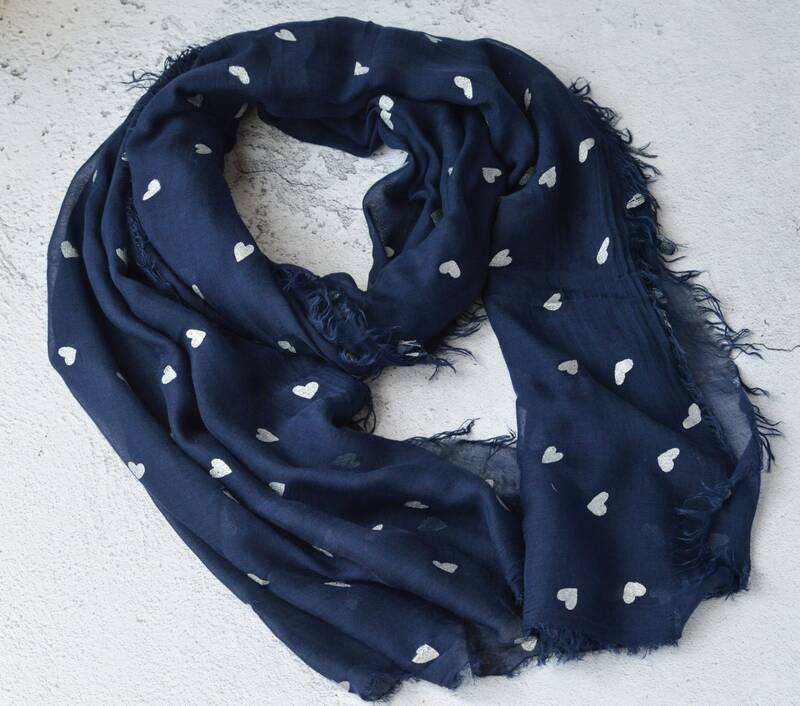 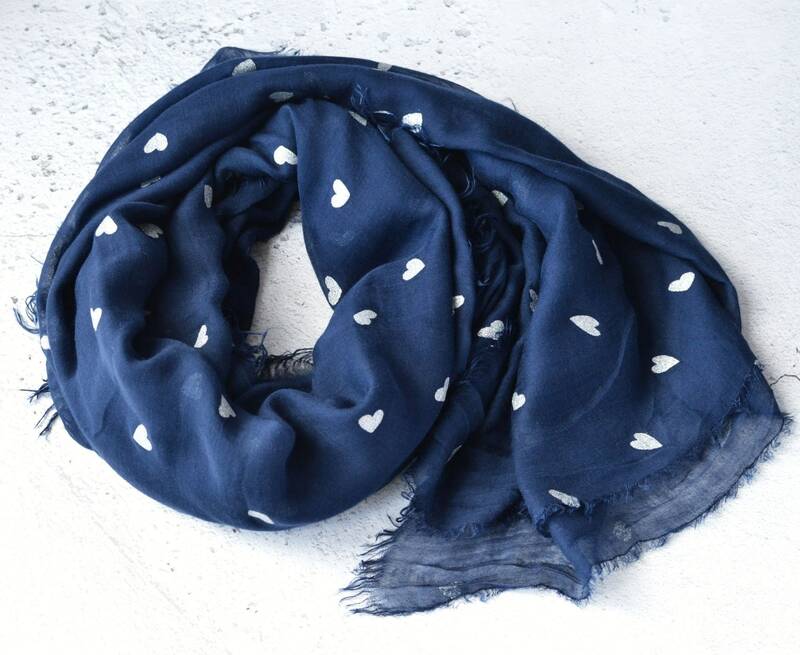 Our super soft, navy blue, silver hearts foil printed scarf is beautifully feminine and light weight. 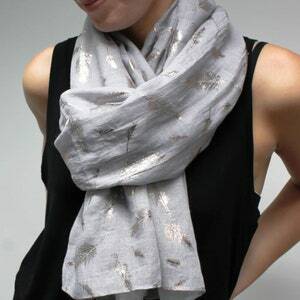 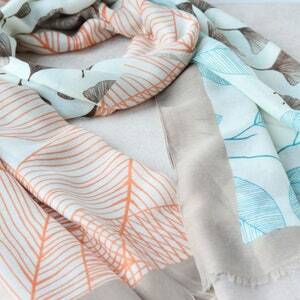 Wear it as a traditional scarf, wrapped once or twice around the neck or as a wrap. 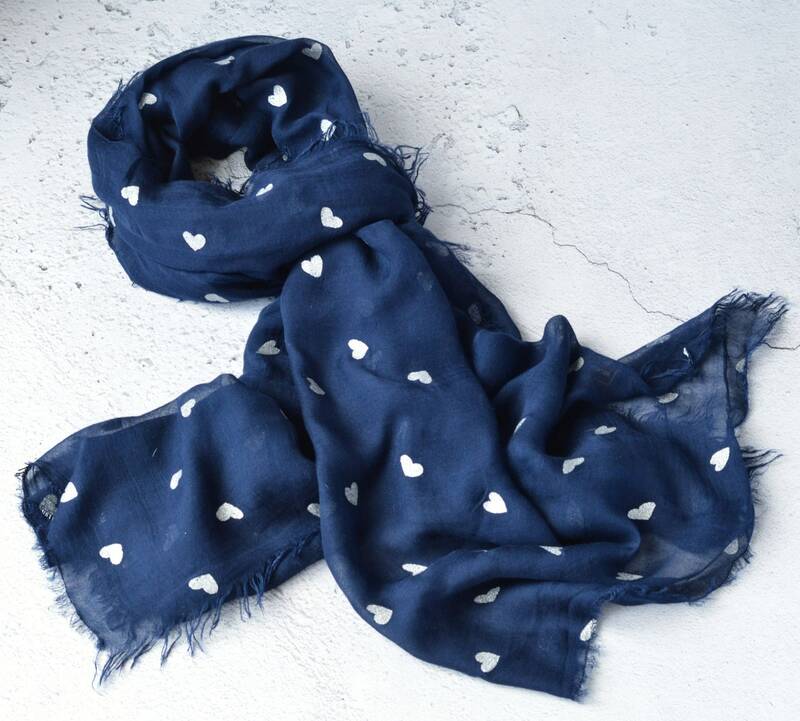 It’s a great way to accessorise any outfit. 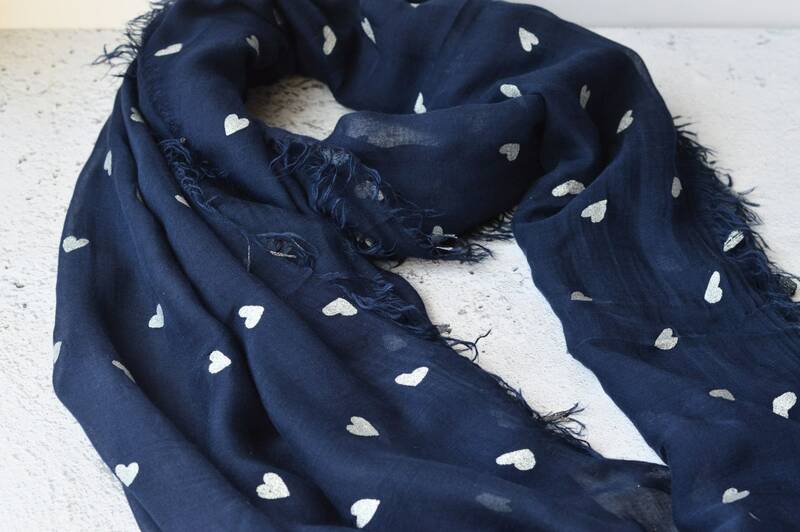 Care: Wash at 30 degrees; do not tumble dry; cool iron on wrong side of scarf only. 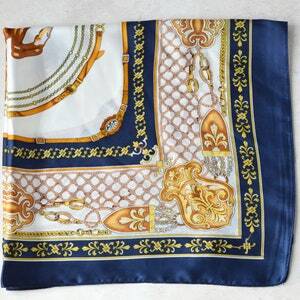 Do not iron on the right side of the fabric which has the silver foil applique.